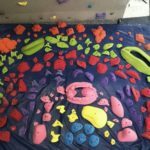 Take rock climbing and strip it down to its bare essence: You and a small number of defined moves to solve a physical puzzle (the route). No ropes, no harness. 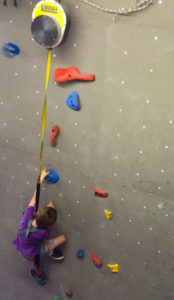 A mat beneath you, chalk and a pair of climbing shoes. You set your own pace and difficulty level. Physical and mental satisfaction guaranteed. Boasting a range of angles, shapes and dimensions, our walls are designed with passion and detail to allow for wide variety in our routes. 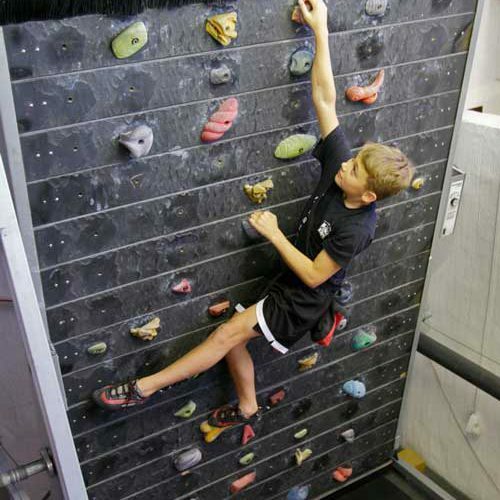 From vertical to overhanging, our wave, prow and 30-degree walls will keep you entertained. It all began with a dream of outrageous curves and angles and capturing them into CAD. Over 8 tonnes of steel beams would be ordered to provide the safe and solid backbone of Southern Rock. The frame was assembled like a large model kit and securely attached to the floor. Once the solid framework was securely in place, the cladding began. 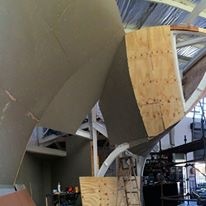 More than 100 large panels were shaped, drilled to hold T-nuts, treated, painted and carefully “wrapped” over the frame before being securely attached. Southern Rock’s walls boast unique curves as the wood bends in more than one direction. Finally, the joins were sealed and the walls were ready to go. 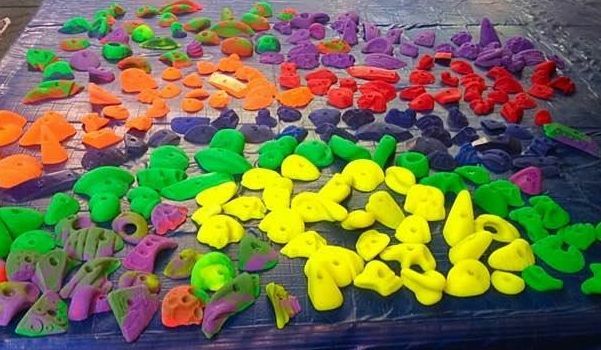 At Southern Rock we value the rubber on your climbing shoes, so our walls do not have unnecessary coarse coatings that waste your precious rubber. Safety comes first at Southern Rock. We spared no expense on our floors. 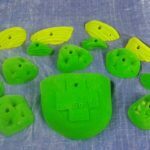 Custom high-density foam was made to spec to cushion your every fall and give you the freedom to try your heart out for that next hold. 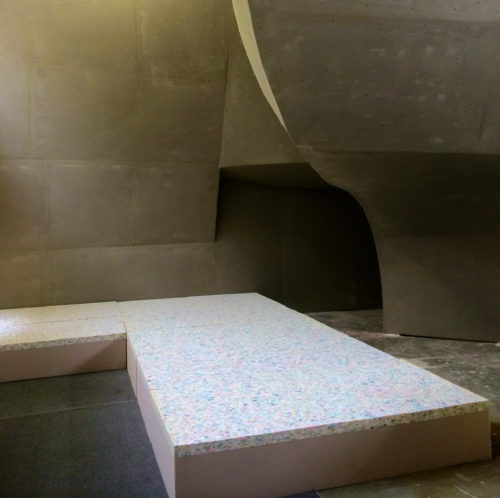 Our 0.5m thick floors are made up of three layers of foam: 360mm of low-density laminated to 115mm of high-density covered by an additional 25mm of closed-cell snugly glued to a custom polyurethane covering. The result is firm and forgiving fall protection. It’s so comfortable that the couch is neglected. 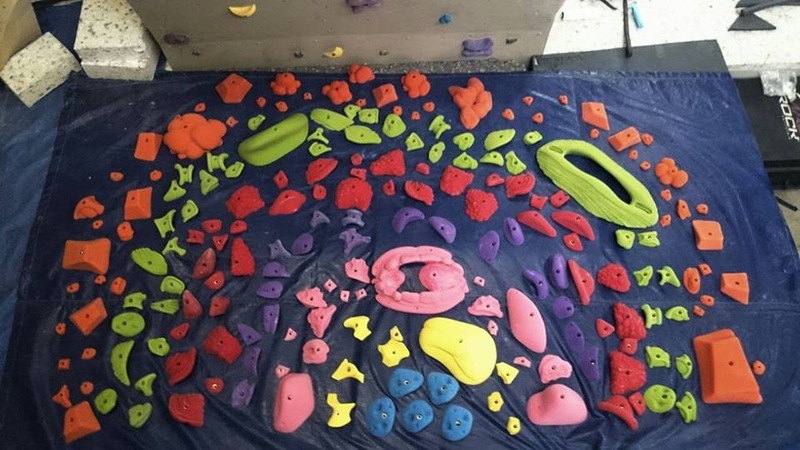 At Southern Rock we take great pride in the quality and range of our routes, which can only be as good as the holds we use. 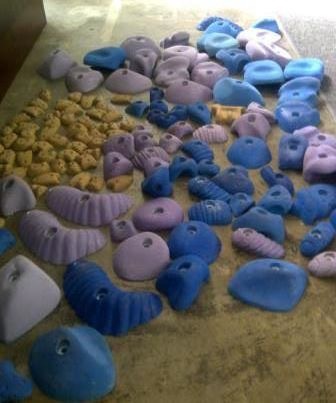 We use a range of holds that are both imported and manufactured locally. 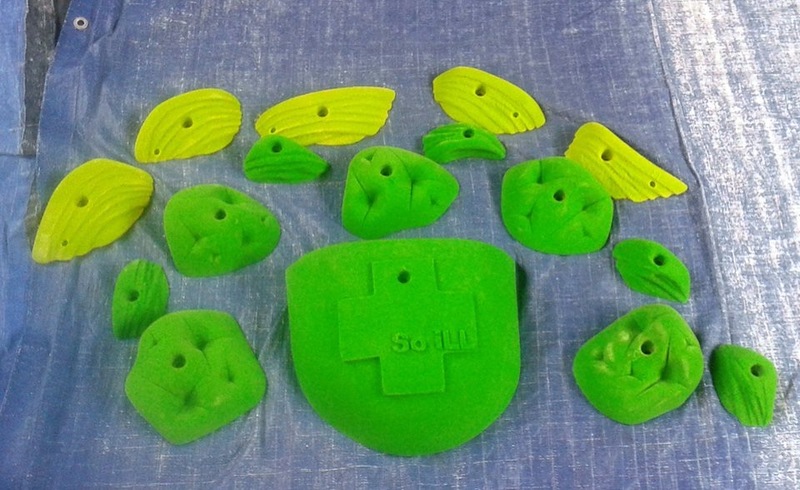 These are carefully chosen to look after your hands and fingers and to allow for the best route setting. 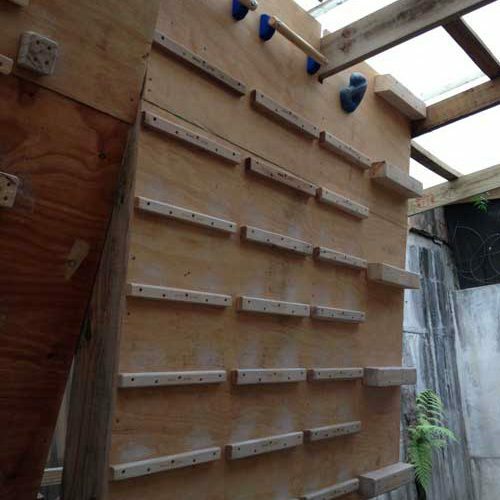 The M6 Treadwall is based on 20 years of design and research into the rotating climbing wall. 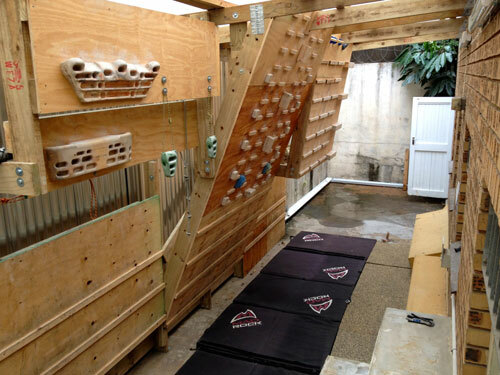 For fun and serious training, the past two decades have seen the treadwall put to multiple uses throughout the world. Cross training in particular has never been easier. Lower the Treadwall to the full -12 degree overhanging angle and work all the muscles in your arms, shoulders and core at once. Change the angle to +12 degree slab angle and get your hips, legs, core and balance dialled to perfection. Find the most comfortable angle for you and get a continuous aerobic burn everywhere, at once. 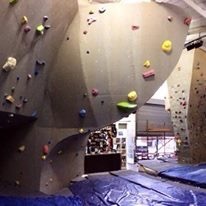 At Southern Rock we have two Top-Rope Auto Belays, which allow you to climb to the top of the wall and give you a safe descent every time. Chat to our staff who will help set you up. You can rent a harness if you don’t have one. 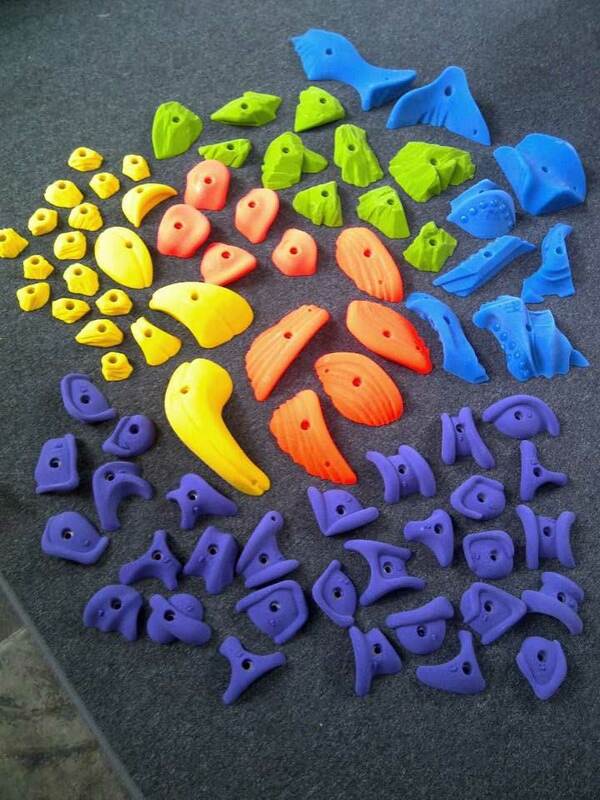 Want to take your climbing to the next level? Southern Rock has the perfect solution hidden in our back room just for you. Boating various campus rungs, pull-up bars, finger boards, TRX systems and more, our Gun Room will meet your every training need.